Η Renault παρουσίασε το Kaptur, ένα Captur σχεδιασμένο για τα γούστα των Ρώσων. 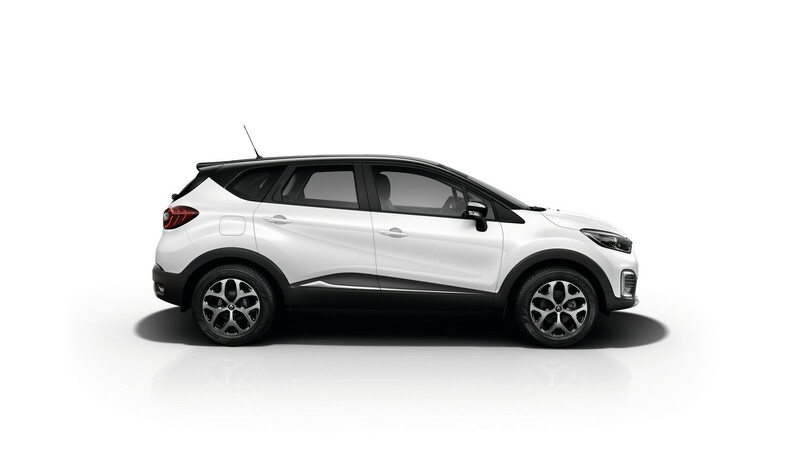 Το Renault Kaptur έχει μήκος 4.333 mm, πλάτος 1.813 mm, ύψος 1.613 mm, μεταξόνιο 2.674 mm, με την απόσταση από το έδαφος να έχει αυξηθεί σε σχέση με το Captur, διαθέτει βελτιωμένη ανάρτηση για να αντέχει στις κακουχίες των ρωσικών δρόμων, ενώ προσφέρεται και με σύστημα τετρακίνησης. Έχει γωνία προσέγγισης 20 μοιρών και γωνία διαφυγής 31 μοιρών. 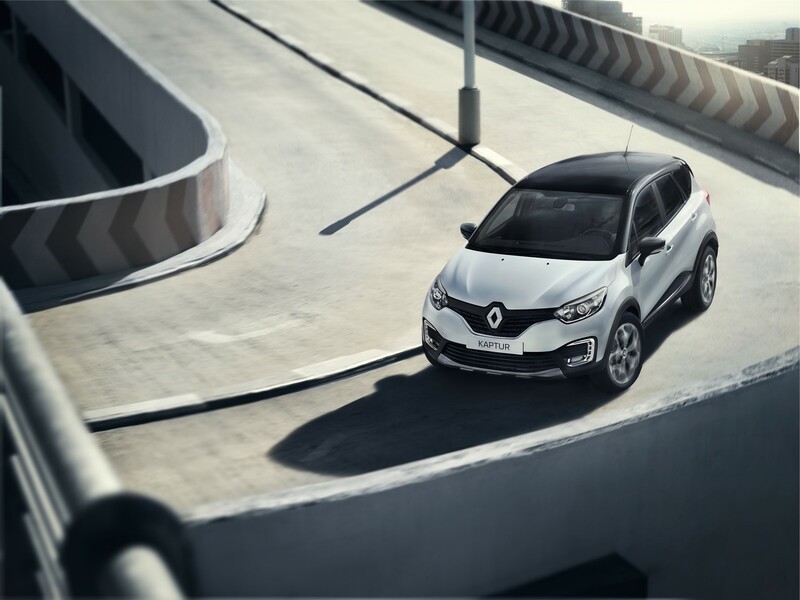 Σχεδιαστικά ξεχωρίζει από το Captur λόγω του μεγαλύτερου σήματος της Renault στη μάσκα, των διαφορετικών φωτιστικών σωμάτων, του νέου καπό, από τα C LED φώτα ημέρας, των μαύρων προστατευτικών πλαστικών και των LED πίσω φωτιστικών σωμάτων. Στο εσωτερικό συναντάμε τριάκτινο τιμόνι, κυκλικούς αεραγωγούς, μεταλλικά διακοσμητικά και στον βασικό εξοπλισμό υπάρχουν ηλεκτρικά παράθυρα, σύστημα εισόδου χωρίς κλειδί και κουμπί Start/Stop κινητήρα. Στον πρόσθετο εξοπλισμό υπάρχει σύστημα πλοήγησης, οθόνης αφής 7″, θερμαινόμενα καθίσματα, θερμαινόμενο παρμπρίζ και απομακρυσμένη εκκίνηση. Οι πωλήσεις του Renault Kaptur θα ξεκινήσουν στη Ρωσία από το καλοκαίρι, με την παραγωγή του να γίνεται στο εργοστάσιο της Renault στη Μόσχα. 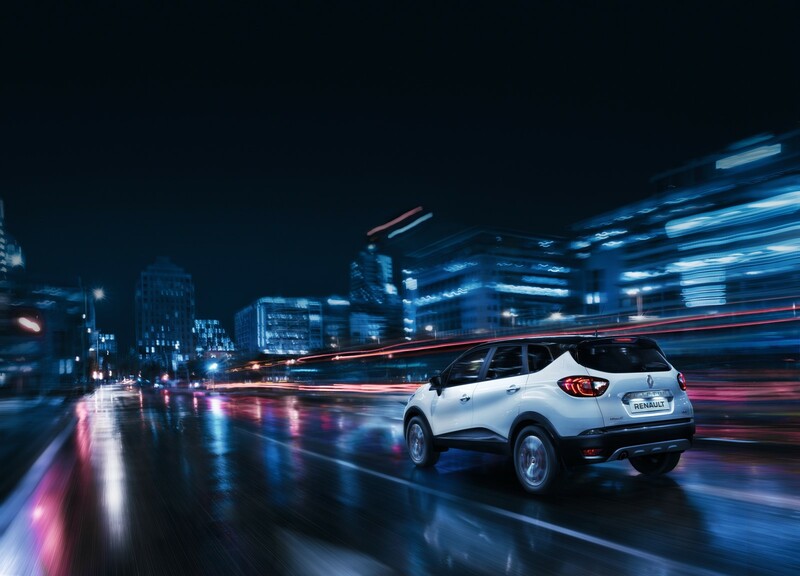 World premiere of the Renault KAPTUR, a new crossover designed to meet the needs of the Russian market. The model was presented in Moscow on Wednesday, March 30, 2016, by Laurens van den Acker, Vice President, Corporate Design, Groupe Renault, and Renault Russia’s Managing Director, Andrey Pankov. 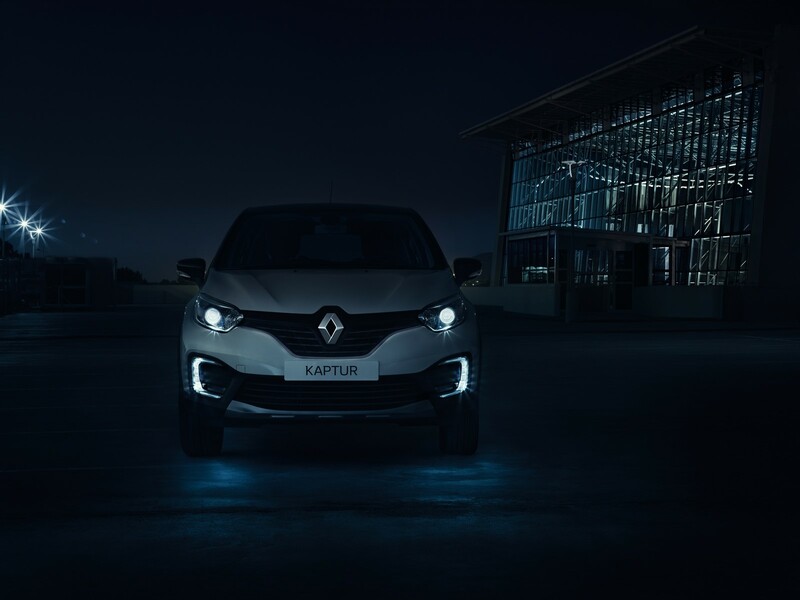 The KAPTUR will play a part in driving Groupe Renault’s growth at a global level, including Russia. The KAPTUR will be manufactured at Renault’s Moscow factory. 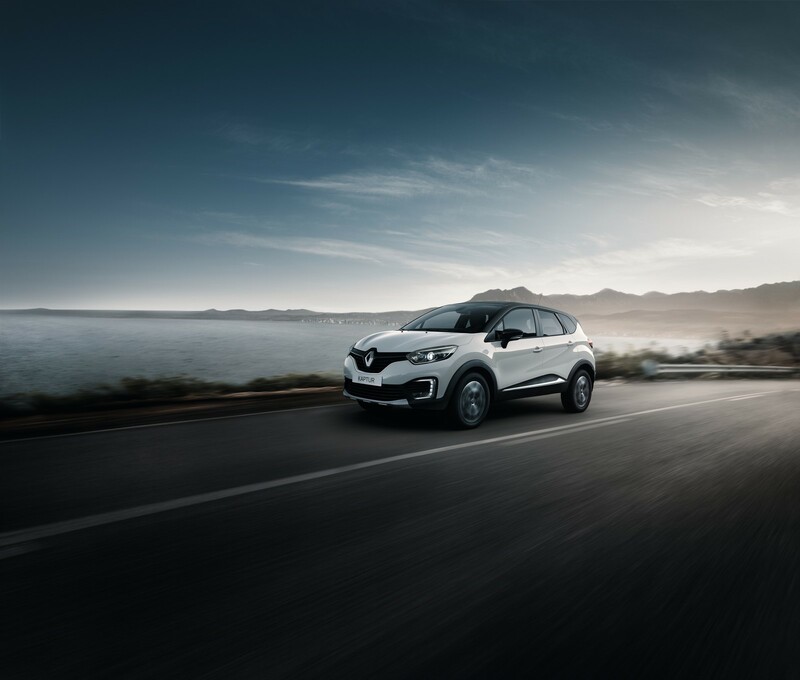 Renault extended its range today with the presentation in Moscow of the all-new Renault KAPTUR crossover which will be equipped with four-wheel drive transmission in Russia. 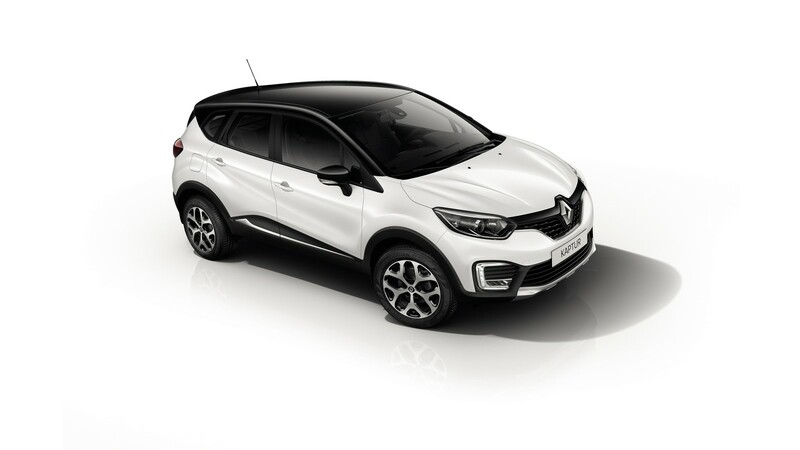 The KAPTUR is one of the 10 new models that Groupe Renault’s President and CEO Carlos Ghosn announced for this year as Renault continues to expand outside of Europe, notably in Russia. 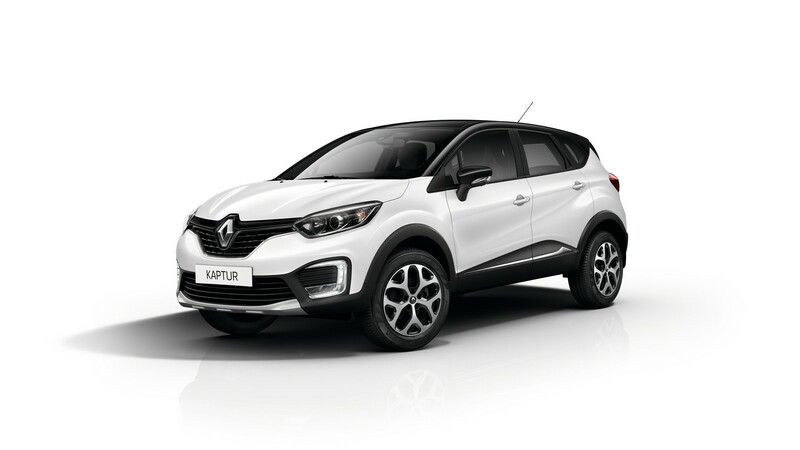 The launch of the KAPTUR in the popular, fast-growing SUV segment will help Renault to consolidate its foothold in the Russian and Eurasian Customs Union markets. The new model is the latest addition to Renault’s range in Russia where it rounds out the make’s crossover and SUV line-up alongside the Sandero Stepway, Duster and Koleos. The specific needs of the Russian market were dialled into the new crossover from the very beginning of the design process. 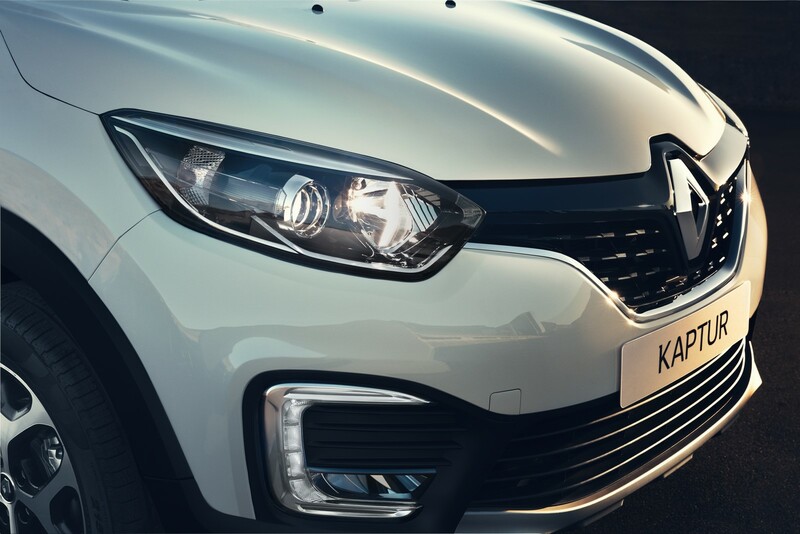 In addition to its name, which starts with an emphatic ‘K’, the KAPTUR’s dimensions are also specific, while its four-wheel drive transmission stands out as a major ally to cope with the country’s harsh climate. 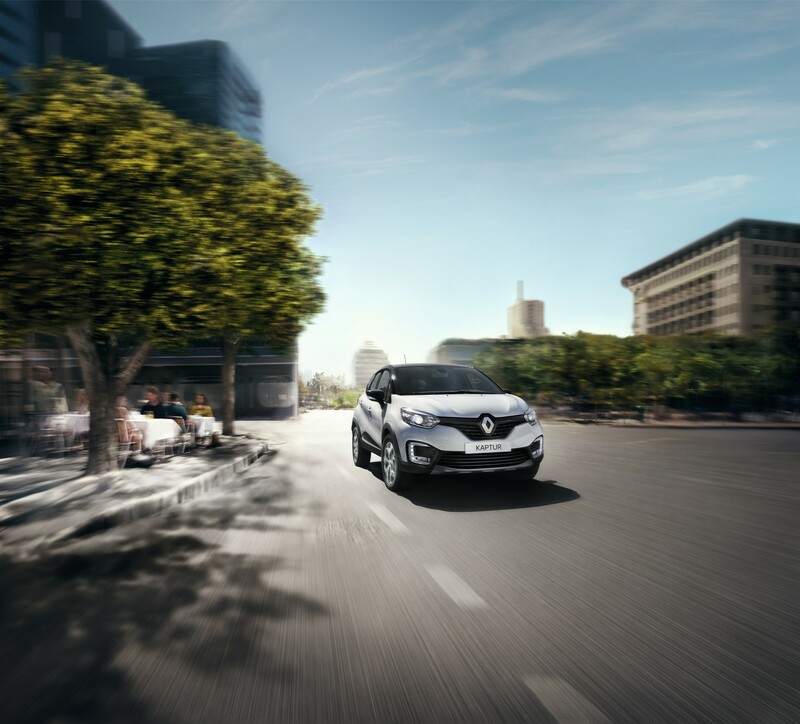 The KAPTUR’s design, which is based on Renault’s six-petal flower strategy which symbolises the human life cycle, marks a new milestone in the brand’s approach to styling in Russia and the CIS. 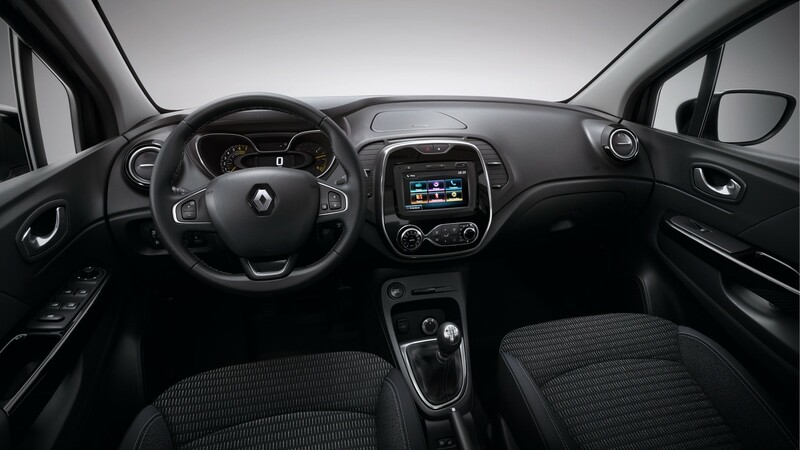 The front end features Renault’s new styling cues, including a bold Renault logo set against a gloss black background. The wide upper section of the distinctive grille features a new honeycomb mesh pattern, while the broad lower part of the bumper visually widens the car. The sculpted forms of the bonnet and door inserts are other bold crossover cues that express strength. As at the front, a key feature at the rear is the C-shaped lighting signature of the 3D-effect LED taillights. The KAPTUR’s stance points to the reliability expected of a genuine all-terrain vehicle, including approach and departure angles of 20 and 31 degrees respectively, plus record ground clearance of 204mm (unladen). 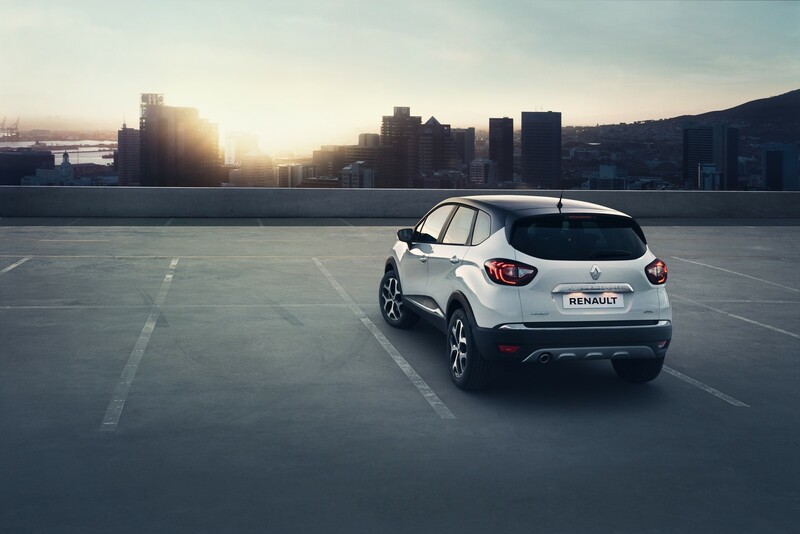 The KAPTUR will appeal to motorists who lead busy life-styles, appreciate a modern atmosphere and value comfort. To heighten its appeal, Renault has also developed a unique set of customisation options for the car. 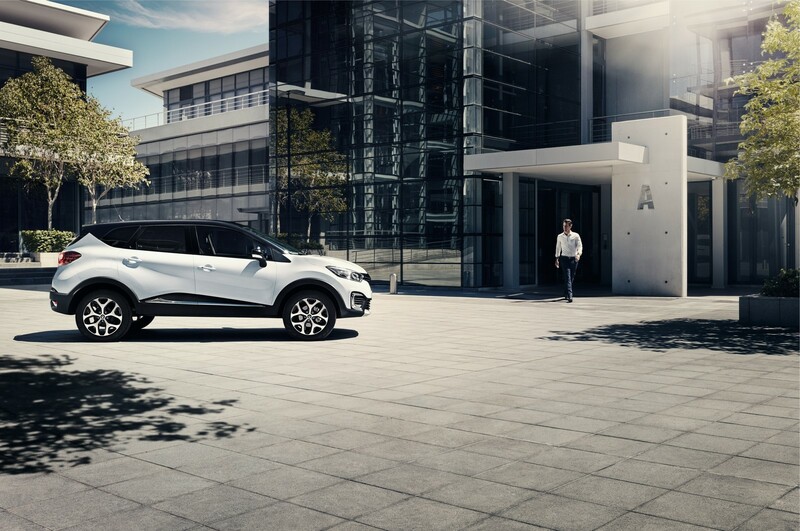 In addition to its bold yet elegant exterior lines, the KAPTUR features a stylish, comfortably-appointed, occupant-friendly cabin that can be customised to obtain a unique interior ambience. 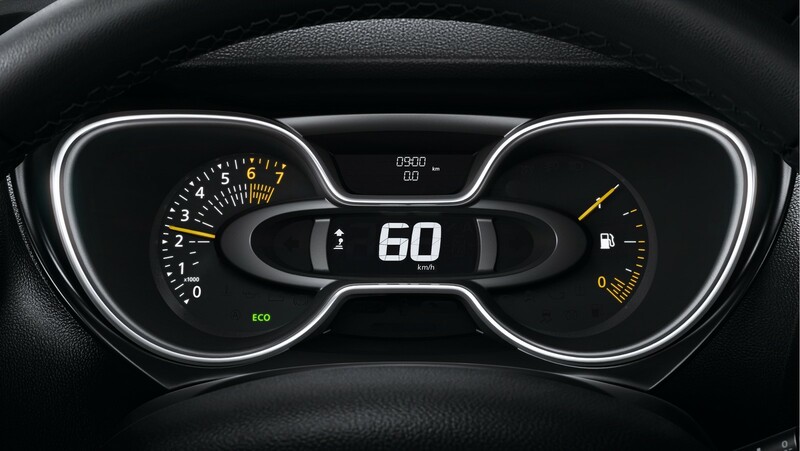 All occupants enjoy outstanding comfort, while the driver benefits from the highest driving position (708mm from the ground) in the KAPTUR’s segment. The rear bench seat comfortably accommodates three adults. The KAPTUR’s boot volume is 387 litres and carrying capacity increases to 1,200 litres with the 60/40-split bench in the fully-folded position. Loading is facilitated thanks to a wide tailgate aperture (1,002mm) and additional boot lighting. 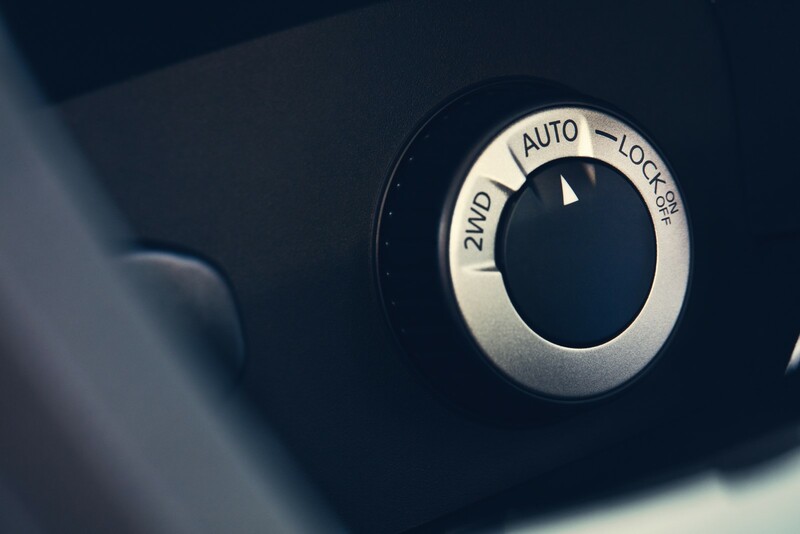 The KAPTUR comes with a modern equipment package for everyday use, including intuitive technologies such as keyless entry, ignition and locking for all versions. The KAPTUR is also available with the MEDIA NAV system which covers all the basic multimedia functions, complete with a seven-inch (18cm) touch screen display, a radio and Bluetooth® connectivity for audio streaming and hands-free use of mobile phones. The KAPTUR is an all-terrain 4×4 crossover engineered to cope with the conditions that can be encountered in Russia thanks to its high ground clearance (204mm), heavy duty suspension and reliable all-wheel drive transmission incorporating a locking centre differential. 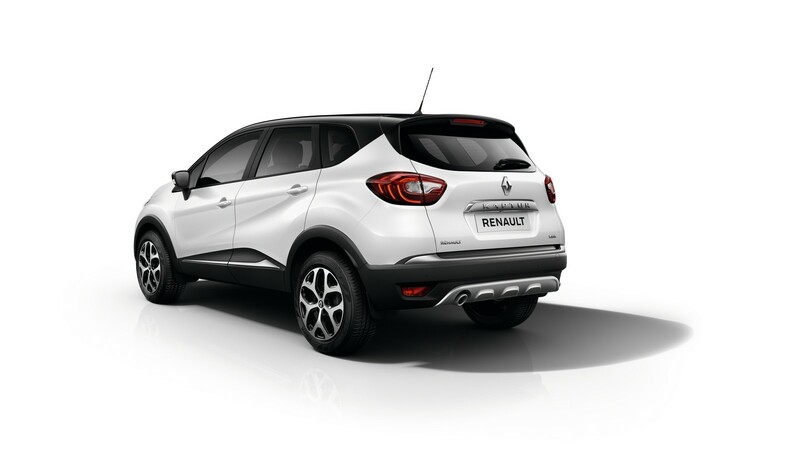 Other key features that make it ideal for the harsh wintry conditions that can be found in Russia and CIS countries are Renault’s Remote Engine Start system, heated front seats and a heated windscreen. The KAPTUR, which will go on sale this summer, is manufactured at Renault’s Moscow plant. The assembly of the crossover in the Russian capital marks a further milestone in Renault’s dynamic product offensive in this market.